Norman Foster and his studio expand and renovate the Domaine Chateau Margaux in Bordeaux. The new winery designed by Norman Foster maintains continuity with the existing parts of the nineteenth-century Chateau Margaux. 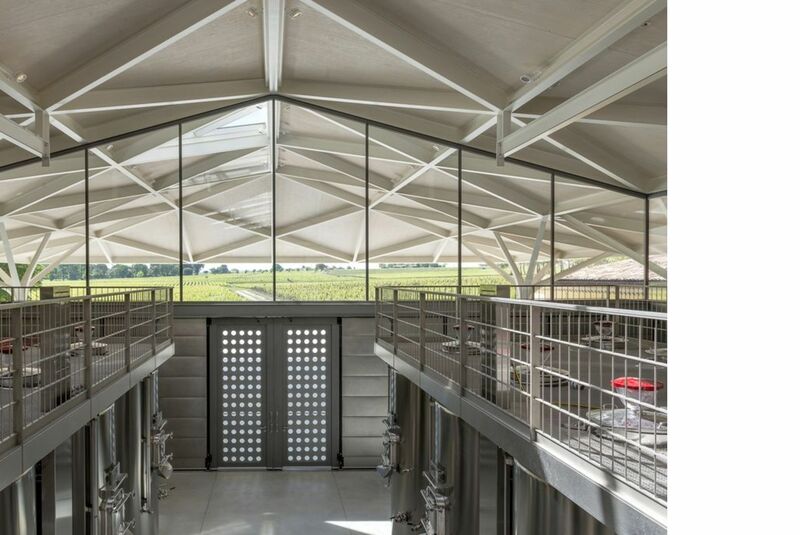 In 2009 Norman Foster and his studio were appointed to renovate the production facilities at Chateau Margaux, in France’s Bordeaux region, and build a separate building for wine production. Foster+Partners’ renovated Chateau Margaux opened on the occasion of the bicentennial of its foundation, in June 2015. The partnership between a professional like Norman Foster who has produced some of the greatest masterpieces of architecture of the past 30 years and Domaine di Chateau Margaux, one of the world’s most prestigious wine labels, attracted the Floornature staff, and we were curious to go and see what they had accomplished. One of the most difficult challenges when working on such a prestigious historic building, based on a tradition that has become famous all over the world, is identifying elements of continuity: so that nothing will deny the building’s illustrious past, but at the same time the space will be renewed and adapted in response to the new requirements of today’s wine-making technologies. The architectural history of Domaine di Chateau Margaux began in 1810, when the Marquis de la Colonilla acquired, apparently as a result of seizure during the French Revolution, a winery that had been renowned since the sixteenth century and decided to make the label known far and wide. The first thing he did was call a famous French architect, Louis Combes, to his court and commission the construction of the neoclassical castle, in which the vanishing point in the perspective is created by the long tree-lined avenue leading to the estate. To this he added an industrial complex to the southeast, arranged around a big courtyard, containing the winery and the orangerie. These volumes, though dating back to the early nineteenth century, cannot be attributed to a certain architect or a particular style, but, as Norman Foster notes, they are the fruit of that vernacular form of expression that may be found in numerous functional constructions such as bridges, windmills and dikes, which have come down to us as anonymous because they simply derive from the common sense and know-how of their times. This is the setting of the expansion containing the new winery built by Foster at Chateau Margaux. The building has a metallic structure made up of a series of pillars, slender and winding like tree trunks, with branches extending upwards to form a triangular grid. This construction supports a big pavilion roof, the shape and covering of which is inspired by the adjacent nineteenth-century construction, differing from it in height to take advantage of the natural ventilation thus created under the roof. Here the space is organised on two levels, with a ground floor covered in wood containing the winery itself; the upper level is the public area, glassed in on the northern and southern sides to provide views over the entire estate. The roof opens up to the morning sun with a number of glass elements set in it like wells of light. There is no decoration other than, in Foster’s own words, the anonymous aesthetic of the structural parts , the colour and impact of which do not contrast with the existing building but stand apart from it. Every element is seen in continuity, even from above, so that the new winery to the east balances the overall composition. for the ageing of wine.